Authors of the Powerful, Eye-Opening Book Go for No! Go For No!, although a small book by comparison, is loaded with valuable lessons about not feeling dejected or deflated in our lives. Even though the book is primarily about sales, we are all salesman. We all sell all day, every day. 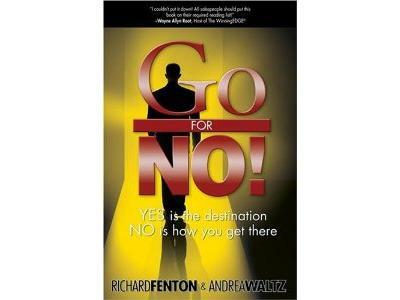 This book opened my eyes to the power of NO!, now the emotional tug of yes. Richard Fenton and Andrea Waltz were on to discuss their unique approach to going for no, instead of running away from it. Fantastic discussion and worhty of multiple listens. 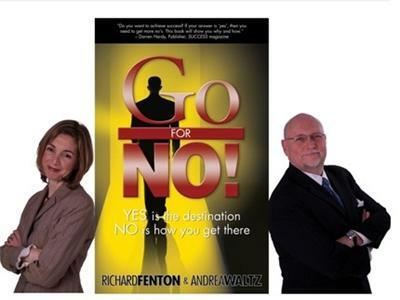 -Richard Fenton and Andrea Waltz are owners of Courage Crafters, Inc. and the creators of a ground breaking business building strategy called, Go for No! -Their philosophies have been embraced by people in a wide variety of businesses and industries to rave reviews and amazing results. -The Go for No! message has been featured in Success Magazine several times as well as hundreds of other online and in-print publications. 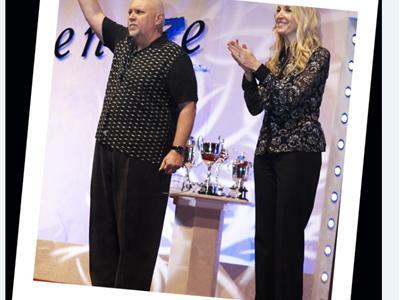 -Besides speaking together all over the country, Richard and Andrea recently completed a 98 minute personal development video documentary (Yes is the Destination, No is How You Get There) that featured top achievers including Jack Canfield, Larry Winget, and "Rudy" Ruettiger to name a few.